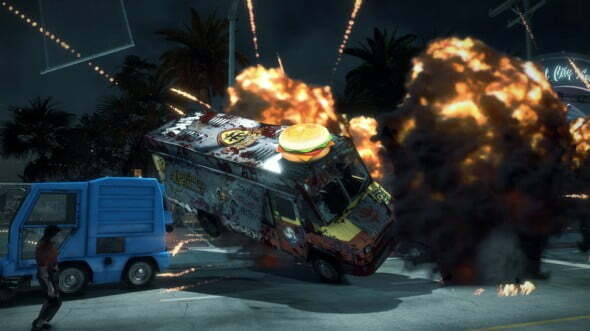 Dead Rising 3’s next DLC is not one worth your time, and continues this game’s disappointing DLC run. Dead Rising 3’s first piece of DLC was an underwhelming, yet adequate narrative expansion. However, the game’s next attempt, Fallen Angel, is a pathetically weak entry. Not only does the plot feel unnecessary, and the side activities are filled with tedium, but the mission structure mirrors its predecessor in almost every way. In truth, this feels insulting to those who paid money for this. The main story goes as follows: You play Angel, an illegal. She and other illegals go out and do things to survive. That is pretty much all this game offers. In fact, the only thing connecting this back to the main game is Doug. Do you remember Doug? Probably not, that is because his sole purpose within the main game was to just stand there and be absolutely irrelevant. It makes you think that the reason the developers included him in the first place was so that they could then tie him into this DLC. While participating in your main missions, Fallen Angel also offers joys such as “Destroy all of the cameras” and “Burn all of the propaganda posters”. In Operation Broken Eagle, the general side missions consist of you finding your lost squad. Every one of those missions were interesting, because you had no idea what had happened to your men, however, here, you know exactly what will happen. You will either burn a poster or shoot a camera and Angel will say recycled dialogue. The very fact that these were labeled as optional objectives irritates me to no end. These are collectables, not missions and they should not be advertised as such. There are also randomly occurring events where you must save hostages from spec ops soldiers. I enjoyed this side activity the first few times, but I soon found that none of the hostages join you and the only payout was an experience boost. Perhaps my biggest gripe with the entirety of this DLC is the fact that it literally copies the structure of Operation Broken Eagle and simply repaints it. At the risk of spoiling the nonexistent plot, I will not go into too much detail, but suffice it to say that if you have played Operation Broken Eagle, then you have played Fallen Angel. 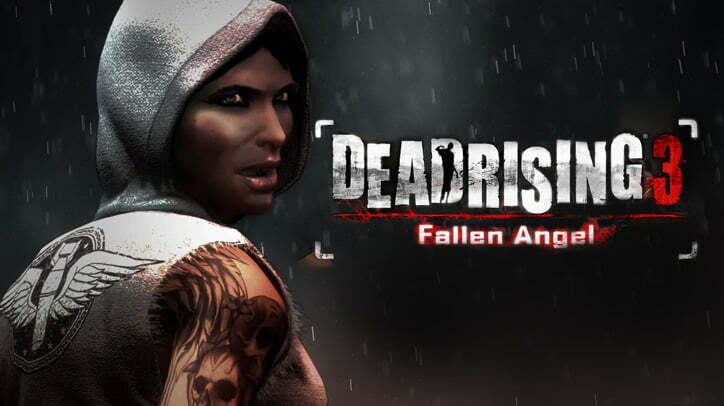 The weapons are astoundingly weak, while Operation Broken Eagle offers a minigun and a freezing grenade launcher, Fallen Angel provides a defibrillator and sub machine guns. Not to mention that while you received a light tank in the past DLC, this one gives you an armored food truck. Don’t buy this. Even if you are interested in the Dead Rising plotline, there isn’t any connection to that here. Fallen Angel is not memorable, it is not fun, it is a tedious and bland entry with almost no redeemable factors what so ever.